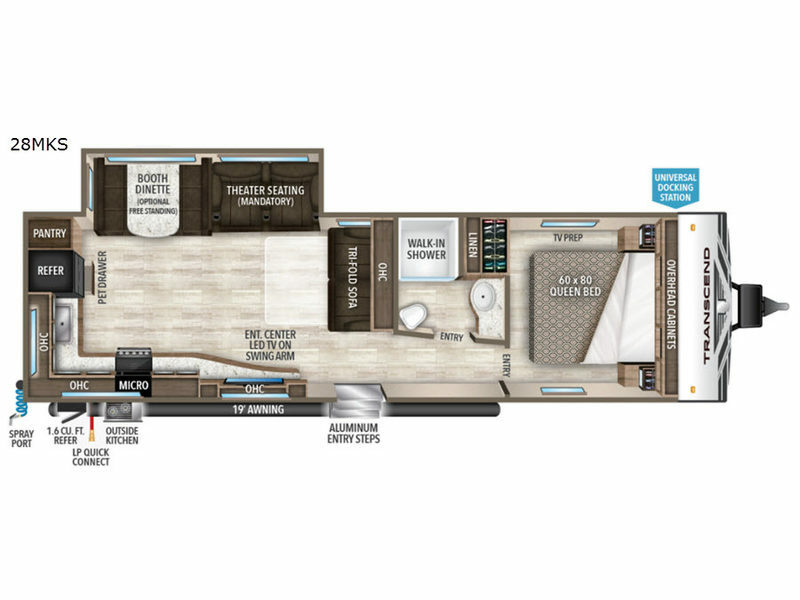 Grand Design is proud to offer you the Transcend, their newest travel trailer line. The Transcend is an entry-level trailer that is sure to win your approval with its innovative design features and functional quality that all Grand Design products are known for. The exterior features a Strong Wall aluminum exterior that is 25% thicker than the competition for more durability and a better-looking finish. It also includes a fully enclosed and heated underbelly, a double-insulated roof, a residential heating system throughout, and a power tongue jack. 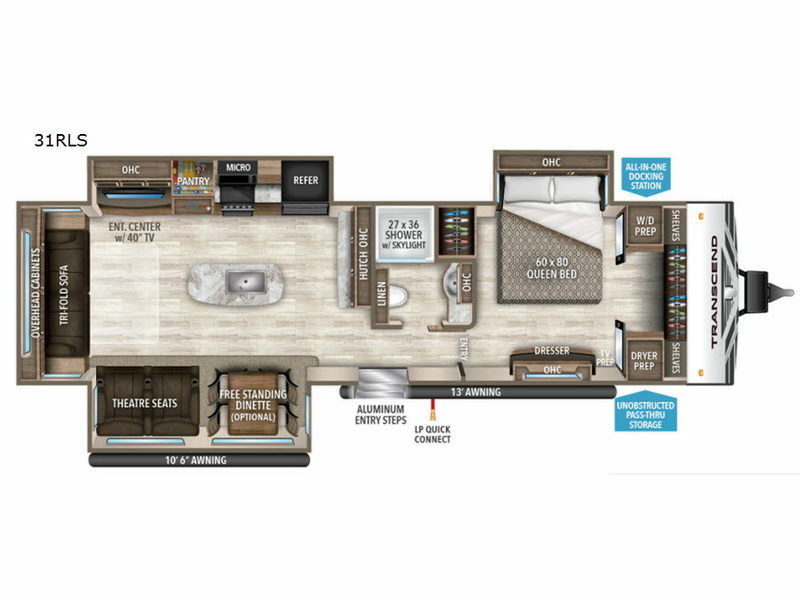 Inside the Transcend, you will be pleased with the upgraded residential furniture, a deep-seated stainless steel sink, a pet-friendly drawer under the double-door refrigerator, LED lighting, and large panoramic windows that bring the outdoor beauty inside! You won't be stepping down with this entry-level trailer. 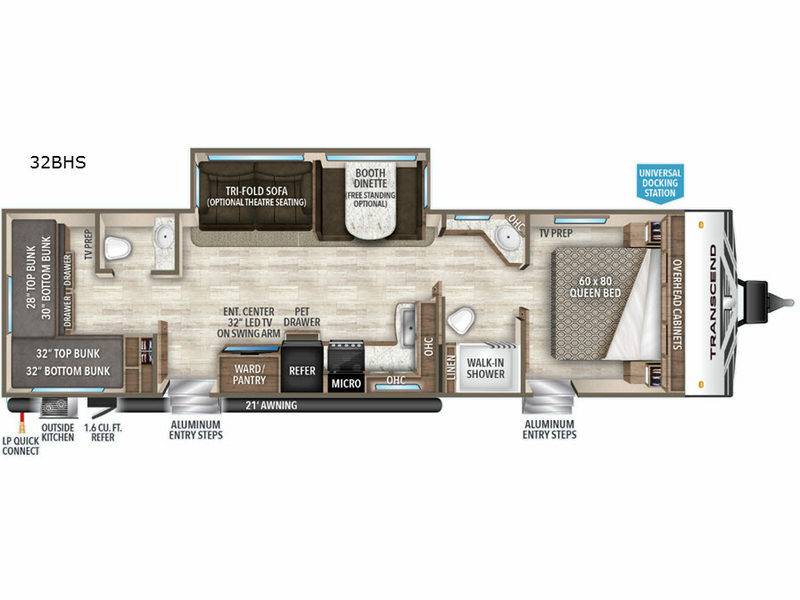 Instead, you will transcend the ordinary and find this Grand Design Transcend travel trailer to be a step above the rest! Shower Size 27" x 36"
Thank you for taking the time to look at Grand Design RV. 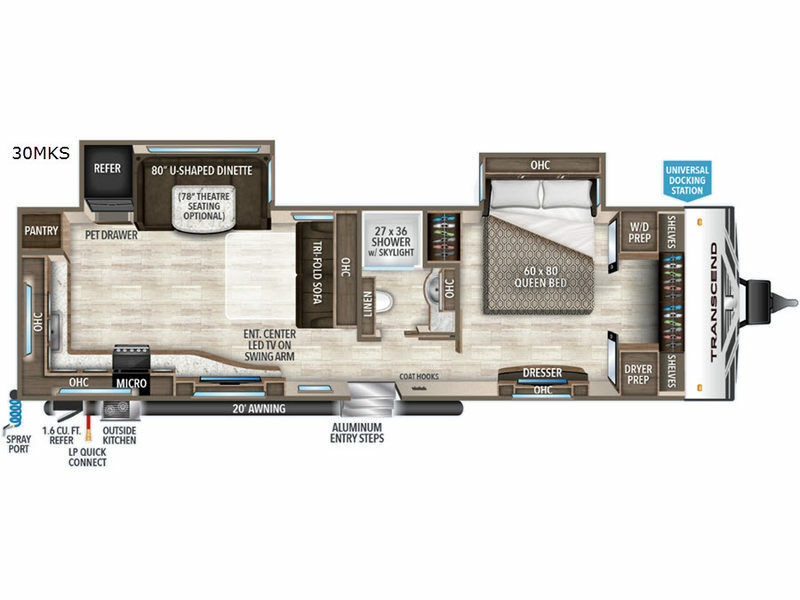 We would like to share some insights into what sets Grand Design RV Company apart from all other RV manufacturers and why this difference is important to you. 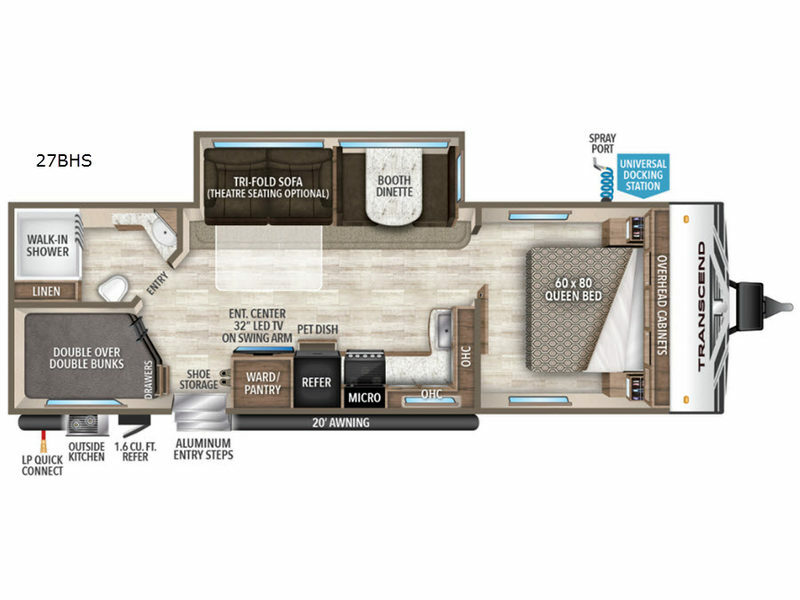 We were part of the original ownership team that led a top RV Manufacturer to become the largest travel trailer and fifth wheel company in the world. While proud of our accomplishments at this company, it became difficult to stay in touch with the needs of our customers, employees and ultimately the products we built. In 2011, we set out to pursue our dream and re-establish the personal connection we had enjoyed with customers and dealers. The result is Grand Design RV Company. Starting with a blank canvas, we were able to do things differently than what had been done before. After achieving unparalleled years of growth, Grand Design formed an alliance with one of the industry's most iconic brands...Winnebago. Operating as an independent business within Winnebago Industries provides additional financial stability and enables us to continue Grand Design's unique way of doing business for our current and future customers. CUSTOMER FOCUS Our focus (from the very first day we opened our doors) revolves around our customers. STAYING CONNECTED Magic happens when the President and Senior Management are all actively working in the production facilities to help build the team and develop products. EXPERIENCED WORKFORCE Our local workforce has been hand-picked, and has an excellent reputation for quality craftsmanship that is second to none. CLASS LEADING WARRANTY We back every one of our coaches by a 3-year limited structural warranty. RAISING THE QUALITY BAR We put every Grand Design unit through a series of quality inspection gates during the manufacturing process. Once completed, the unit undergoes a comprehensive final finish inspection. From here, most manufacturers ship their units on to the dealer for retail sale. Not Grand Design...Every one of our units are shipped to a separate PDI (Pre-Delivery Inspection) location where they are again put through a 280+ point inspection process. It is only after this that we deem a unit ready to ship to our dealers. SUPERIOR SERVICE We deliver the highest quality in the industry, but anything built by humans can be subject to issues. It’s how those issues are addressed that stands out with Grand Design. Don’t just take our word for it, visit the owners page on Facebook (Grand Design RV Owners) and see for yourself how we take care of our customers after the sale. An informed customer will be a Grand Design customer! 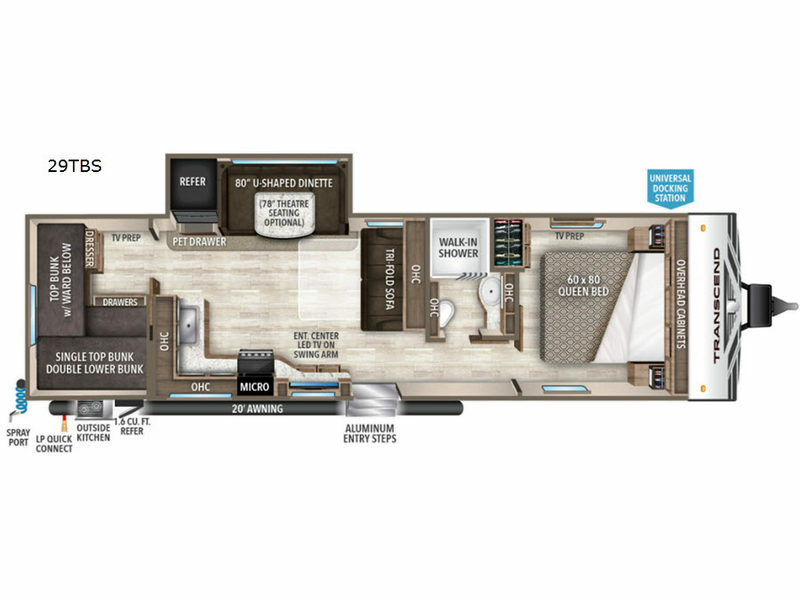 At Grand Design our goal is simple...Continue leading the industry with quality products while improving the customer's RV experience before, during, and after the sale.